The City Council's Rules Committee was briefed Wednesday on a proposal to increase independent oversight of complaints against San Diego Police Department officers. 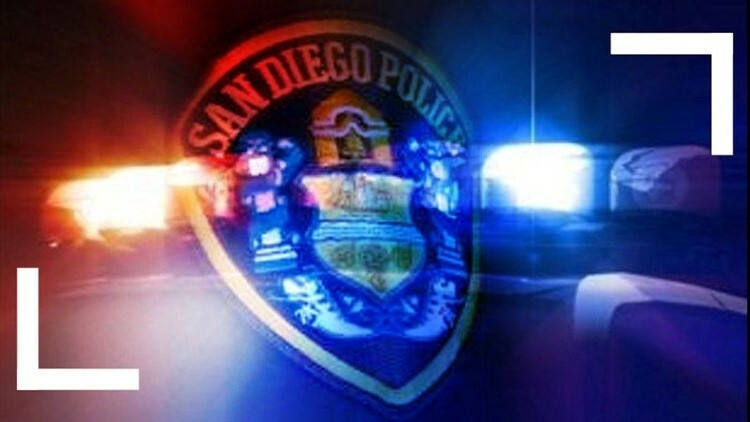 SAN DIEGO (CNS) - The City Council's Rules Committee was briefed Wednesday on a proposal to increase independent oversight of complaints against San Diego Police Department officers. Women Occupy San Diego and other community members want to form a citizen police review commission. Supporters of the proposal say the existing 23-member Community Review Board on Police Practices lacks public trust and the ability to function independently from SDPD and the city. The board can make policy and procedure recommendations to SDPD, but cannot mandate action. Currently, the board is only referred cases that are already investigated by SDPD Internal Affairs, which doesn't investigate all officer- related complaints made by the public. City code also dictates the board and SDPD are both represented by the city attorney's office, which attorney Andrea St. Julian said is a conflict of interest. "The community simply doesn't trust the current CRB. It doesn't trust it at all," said St. Julian, who spoke to the committee in support of the ballot proposal. "People say, `Why would I file a complaint? Nothing will come.' I'm not saying that's correct -- but that's the belief." The CRB currently uses independent counsel, but funding for the representation is temporary. The ballot proposal would turn the board into a commission, which, because of the verbal structure of city code, would distance the panel from the city attorney's office and provide more independence from the SDPD, St. Julian said. The proposal would also allow the commission to hire its own independent investigator for officer-related shootings and deaths in the custody of officers. Those instances would receive mandatory independent investigation; the investigator also would have the power to investigate other complaints instead of merely reviewing them. The investigation wing of the commission would have the power to meet witnesses, review police body cameras and review police documents. Currently, the CRB lacks subpoena power. The commission still wouldn't be able to mandate changes within SDPD, but St. Julian said an independent citizen review panel with greater resources than the current board would inspire more confidence in investigations over SDPD conduct. "Police officers are professionals. Professionals who deal in life and death matters -- attorneys, doctors -- are all required to have citizen oversight. Part and parcel with that privilege is having public oversight," St. Julian said. Several Southeast San Diego residents who spoke during the committee meeting's public comment period expressed frustration with a perceived lack of progress regarding officer conduct-related complaints. CRB Chair Douglas Case was quick to discount the perception that the board isn't effective, though he said he supports the hiring of independent experts to review cases. "I believe to do a thorough analysis it would be helpful to have an expert doing independent investigations. But also I think it would address the issue of public distrust of officer-involved shootings," Case said. Case also supported regular funding to retain independent counsel, and said the filtering of cases through SDPD Internal Affairs is a board-wide concern. Case previously discussed the issue with SDPD Chief David Nisleit, and said the chief agrees the board should receive all complaints when the department does. Council President Myrtle Cole said the Rules Committee should hear from Nisleit and a San Diego Police Officers Association representative before deciding whether to advance the ballot proposal, so the issue will be added to a future meeting agenda. Advocates of a new commission want the matter on the November ballot, which would require the proposal be submitted to the city clerk by June 5. Measure G, a "first step" oversight measure requiring the CRB to review in-custody deaths and officer-involved shootings, overwhelmingly passed in 2016 with 83 percent voter approval.